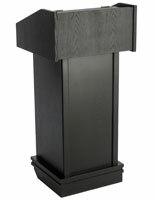 This slip on podium cover is specifically designed to fit our LCTW20 podia and other 22" w x 45.75" h x 16" d speakers' stands. 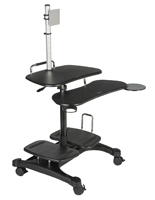 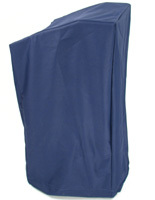 This pulpit wrap or podium cover offers long-wearing performance and superior resistance to spills, abrasions, punctures or tears. 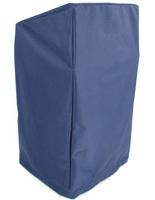 The podium cover is made of 600 x 450 denier 0.60 mm thick polyester fabric with PVC coating. 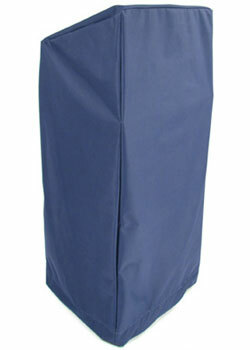 This pulpit wrap's blue color will complement any environment while keeping lecterns safe from dust, damage and spills. 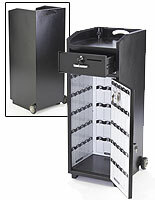 The protective podium cover is washable with just soap & water. 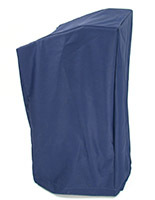 32.0" x 45.8" x 16.0"